Being in a household full of teenage kids, it is hard to find TV programs that everyone wants to watch. 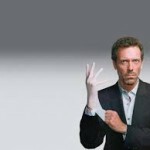 One series that we all agree is intriguing and entertaining is House – the story of a brilliant doctor saving his patient’s lives through his intellect. Along the way he struggles with drug addiction, dysfunctional personal relationships and, most intriguingly, managing a high performing team. I see all sorts of similarities between this evidently contrived medical environment and my experiences as CIO trying to get the best out of my team for their own sakes and to deliver to the organization. So how does Dr House stack up against my principles of what makes a good leader and especially a good CIO? Integrity. For me this trait stands above all others in importance (as it does for any executive). On the face of it, House lacks integrity – he lies consistently, is always taking money off Wilson and almost always avoids answering questions. Behind this somewhat dispiriting façade, you know that House holds certain values with incredibly high integrity. He puts his patients first in front of his career or image. He is open and honest about the life that he leads, even if it doesn’t fit society’s norms; and he bases his decisions on fact and not prejudice. Strategic thinking – CIOs need strategic bones in their bodies (see The Reluctant CIO!) and this takes a certain thought process. They have to be comfortable “in the fug”, not having the full picture but still being confident enough to move in one direction. 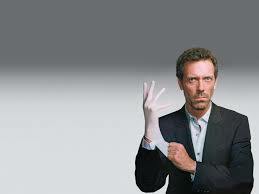 This is House’s life: a patient presents with lots of data, but insufficient information to diagnose. He has to weigh up the risks of each test or treatment against the risk of inaction (usually the patient will die). He never just sits and holds his head; he always picks a path and follows it. Communications – A core requirement of a CIO is to communicate the opportunities, challenges, risks and achievements of information technology. In this area you would have to say that House fails dismally, at least at face value. He interacts rudely with his patients (he would rather not talk to them) and prefers to hang out in the morgue or with coma guy. To counteract this perspective, we know that House is the best asset of the hospital, so somehow the word has got out. Maybe he really does know how to communicate – just in unconventional ways. Relationship building – I have always thought that the relationship web that a CIO weaves is his or her biggest asset. The CIO must work up, down and across developing trust and enthusiasm. House has a strange set of relationships with Cuddy (up), his team (down) and Wilson (across). The recurring challenge with his team is to let them make their own decisions (and mistakes) but not let them kill the patient (which sometimes happens). This is like any CIO challenge – let the Operations Manager manage operations, but know when you have to step in to save a disaster. So how would you like to be in Houses’ team? A mixed blessing I think! Previous Previous post: To interim or not to interim? Why do you need a business analyst? Is cyber security going anywhere?